Welcome spring! Are you as happy as I am that spring has sprung? I am excited to share twenty DIY spring wreath ideas today. Is the weather warming up where you are? We are having some cool, foggy mornings, but the day gets sunnier as it goes on. Time to prepare the house for spring and I cannot think of a better way than by making a spring wreath for the door or mantel. 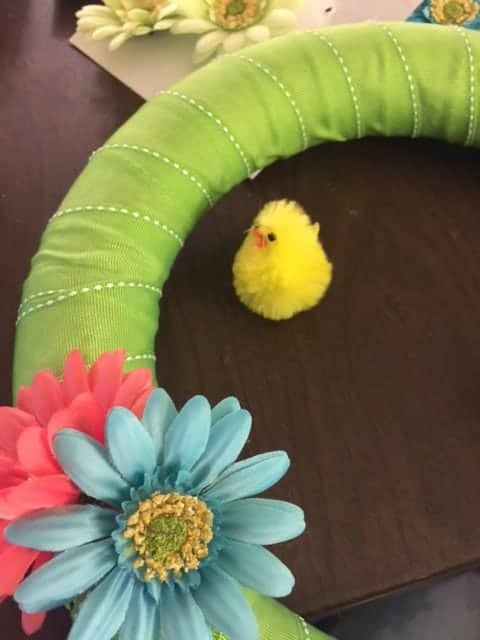 I am sharing my wreath and an also sharing some other spring wreath ideas for inspiration. I have to say that I love making wreaths for the season and I also love to change them up from year to year. I like to reuse the tubes from time to time and update my wreath. 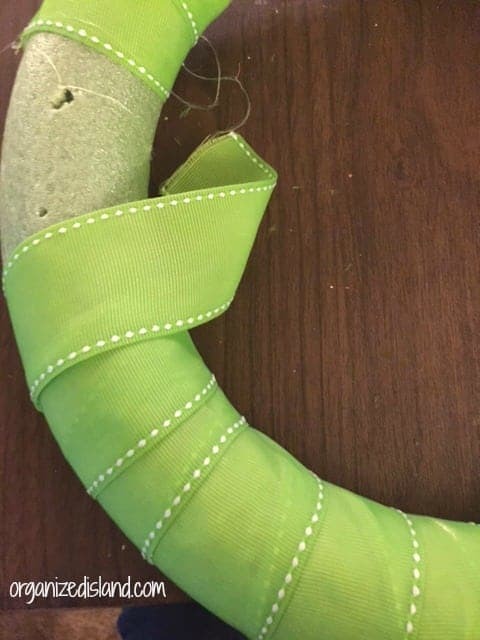 I wrapped the styrafoam wreath with ribbon first. Then added a couple of flowers. 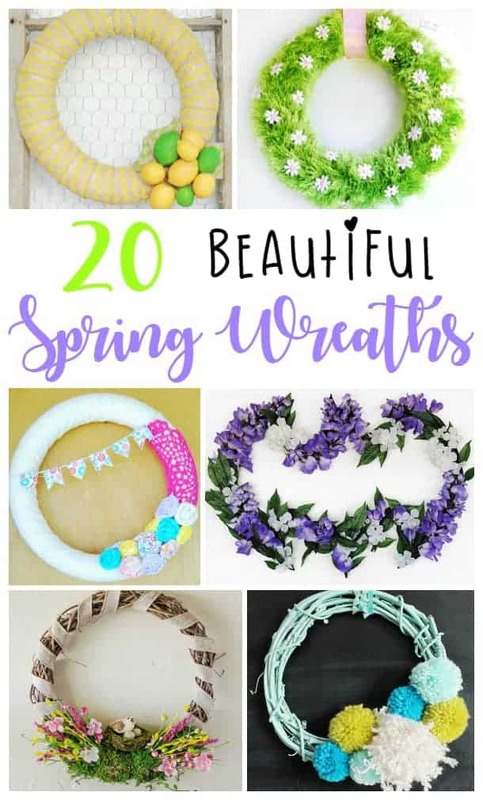 Here are some more great wreath ideas for spring. So many cute wreath! I still have my Valentine’s Day wreath on the door. I think I need to replace it with one of these cute wreaths! Glad you like them! I can totally relate – Time flies doesn’t it? That daisy grass wreath is so fun! We JUST took down our Christmas one. No time like the present! I really love the cherry blossoms one. Ha! Well time really does go by fast doesn’t it?